Dali replicated the Venus de Milo's in this painting are positioned in such a way as to create an image of a Toreador, an idea first inspired by an illustration he noticed on a pencil box. 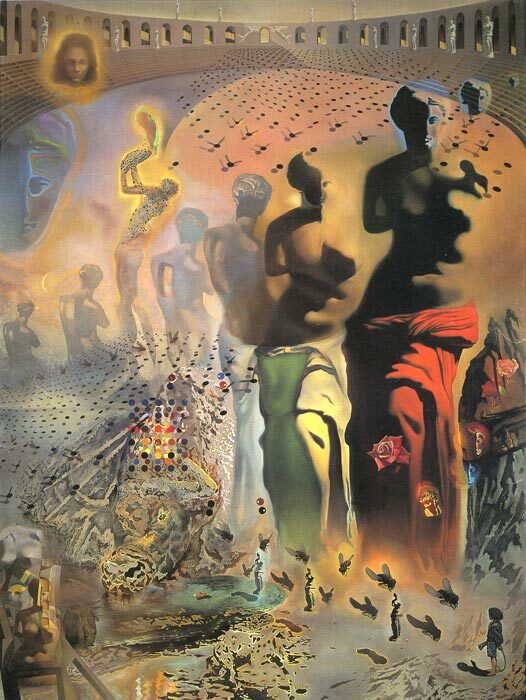 The original of this painting, on a huge piece of fabric is to be found in the Dali Museum in Figueres, Spain. SPECIAL NOTE : The painter will make the reproduction as close to the original oil painting as possible. If you want your painting to alter from this likeness, please email us and " The Hallucinogenic Toreador, (1969-70) " will be reproduced according to your special requirements.